Home > ティータイム > 久しぶり – It’s been a while. 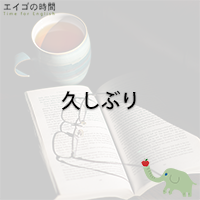 久しぶり – It’s been a while. It’s been a while (a long time / ages) since we last met (spoke). How have you been since we last met? How long has it been since we last met?